You from around here? Why don’t you tell me what happened? —Cybil, upon meeting Harry Mason. Cybil Bennett is a major character in Silent Hill. 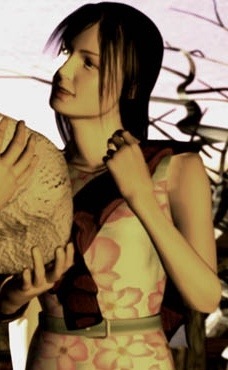 She is also a playable character in Silent Hill: Play Novel and appears in the film adaptation, and is re-imagined in Silent Hill: Shattered Memories. 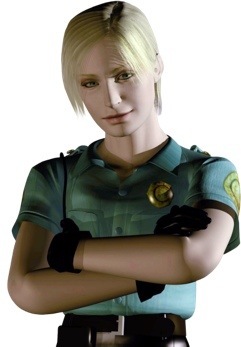 Cybil Bennett is a strong-willed female police officer from Brahms, a town neighboring Silent Hill. In the original Silent Hill game, she is sent to investigate her precinct’s lack of communication with the Silent Hill Police and is unwittingly drawn into its strange world. Unlike the other human characters, Cybil is a skeptic and has difficulty accepting the paranormal activity in town. She quickly befriends Harry Mason and attempts to help him to find his daughter, Cheryl. The Play Novel reveals more of Cybil’s backstory. When Cybil was a little girl, her parents were murdered by an unidentified man. Cybil, who was hiding in a closet at the time, looked through the closet’s crack and witnessed her parents being shot in the head. This incident largely impacted her future, which was the main influence on her becoming a policewoman. In the intro FMV, Harry sees Cybil riding by on her motorcycle while he is driving with his daughter. Shortly before crashing his Jeep, he spots the bike again lying abandoned by the roadside. After being ambushed by monsters in the town, Harry finds himself inside a cafe with Cybil. She can’t find any logical explanation to what has happened to the town (“The phones are all dead, and the radio, too.”) but feels that something is wrong. Because of the alarming nature of their situation, Cybil gives Harry a gun and tells him to be careful with it before departing. Sometime later, Cybil sees a glimpse of a girl through the fog on Bachman Road. Cybil follows the figure to an obliterated road, but the figure vanishes after apparently walking on “thin air”. Much later in the game, Cybil sees Harry and follows him into the Green Lion antique shop. Here she explains that the police were investigating the flow of drugs in Silent Hill, which she attributes to all the weird things going on. She seems resistant to Harry’s talk of demons and the occult. Cybil and Harry lose contact after Harry separates with her by crawling through a passageway in the back of the shop. When Harry enters a boat in the alternate Resort Area, he is relieved to run into Cybil again. This time, he insists that something is going on. Cybil is still reluctant to believe Harry, despite this time having seen the fog and snow turn into darkness and rain. Left with no recourse, Harry and Cybil decide to split up and look for Cheryl; Harry leaves to investigate the lighthouse while Cybil heads to Lakeside Amusement Park. Cybil learns the truth about Silent Hill too late; she fails to rendezvous with Harry on the boat, and Harry’s next encounter with her occurs on the Otherworld amusement park’s merry-go-round. Having been infected by the same type of parasite that controlled the Puppet Doctors and Nurses in Alchemilla Hospital, Puppet Cybil draws her gun and shoots at Harry. If the Red Liquid/Aglaophotis was obtained earlier, it is possible for the player to rid her of the parasite’s influence and save her life. If not, Harry will have no option but to kill her in self-defense. Cybil falls to the ground and squirms in pain as she bleeds violently from her face. Harry then kneels down in sadness and frustration. If Harry spares her life in the amusement park, Cybil will fall to the ground and the parasite crawls out of her back and Harry squashes it under his foot. Cybil and Harry then have a conversation about Cheryl’s origins. In Nowhere, she corners Dahlia and Alessa Gillespie in the final area, but Dahlia’s psychic energy shoves Cybil back and knocks her out. If the player achieves the Bad+ ending, Cybil regains consciousness after the final boss fight. She walks over to Harry, smacks him out of his grief, and tells him to “go” as the Otherworld is crumbling around them. If the player is awarded the Good+ ending, Alessa gives Harry a newborn baby and uses her power to open a portal for him. Cybil awakens and follows Harry through the light, which transports them out of the Otherworld in time (this alters the opening sequence, replacing Harry’s wife with Cybil). Cybil and Harry are seen running in Silent Hill, with the baby in Harry’s arms, and they disappear into the fog. It was originally uncertain what happened to Cybil during the events of Silent Hill. Cybil is neither seen nor mentioned in Silent Hill 3. The official Japanese novelization follows the Good+ ending. In the Book of Lost Memories, writer Hiroyuki Owaku stated that what happened to Cybil after the events of Silent Hill is “left to players’ imaginations”. However, the Book of Lost Memories also stated that the Good ending (in which Cybil dies) is the orthodox ending and is connected to the third game. In Silent Hill: Homecoming, Deputy Wheeler tells Alex Shepherd and Elle Holloway that a female police officer disappeared when she went to Silent Hill. The only evidence left of her was her motorcycle, which was found crashed on the road to Silent Hill. It is heavily implied this was Cybil. Somehow I feel I’m not supposed to leave this place… Oh Harry, I’m so scared… I’m cold. Lisa Garland is a character in the Silent Hill video game series, making appearances in Silent Hill, Silent Hill 3 and Silent Hill: Origins, and the re-imagining Silent Hill: Shattered Memories. Some of Lisa’s history is left to the player to surmise upon, since the player only learns as much as the playable characters (Harry Mason and Travis Grady) know. Lisa was born and raised in the town of Silent Hill, and went to Midwich Elementary School as a child. With nursing being her family’s tradition, she began her career at Alchemilla Hospital. However, it was here that Lisa became addicted to PTV, a drug being dealt by the hospital’s administrator, Dr. Michael Kaufmann, and Silent Hill’s resident cult, the Order. One of Lisa’s duties was to take care of the patient, Alessa Gillespie, who was severely burned in a fire. Alessa’s body was covered in burn wounds which would not heal, and were always oozing blood and pus, requiring frequent bandaging. Lisa did not understand what was keeping the girl alive (The Book of Lost Memories reveals Dahlia cast a magical incantation on her daughter), and the ordeal of constantly replacing the bandages took a toll on her sanity. Alessa misinterpreted Lisa’s care as actual affection, something she desperately wanted, having never received any from her mother. This might be the reason why Lisa retains her human form and individuality during the events of Silent Hill. Lisa wanted to leave Alchemilla and quit nursing Alessa because she eventually grew sick of it, however, Kaufmann refused to allow her, and threatened to cut off her supply of PTV, which led to arguing and fighting between the two. When Harry stumbles into the ‘Alternate’ Hospital, which is full of gore and demonic nurses, he finds Lisa huddled in a room hiding from the monsters. She claims that she has no idea what is going on, explaining that she passed out and when she came to, everything was different. Lisa is a good source of information about Dahlia Gillespie and the old cult that used to reside in the town. Harry periodically loses consciousness and finds himself back in the Otherworld hospital, without explanation. Interestingly, Lisa does not act startled when he awakens, claiming that he never left and that he was having a bad dream. During one of these episodes, Harry wakes with a start and finds himself in the hospital again; Lisa emerges over him with her left eye twitching. During the final paranormal trip through the hospital, Lisa explains to Harry that she ventured into the basement of the hospital and began to “understand” what is happening. Lisa realizes that she is only alive because she never noticed that she is the same as the other Puppet Nurses, who have been infected. When she begs Harry to help her, he shoves her back, and Lisa starts bleeding from her head and every orifice. She staggers toward Harry until he runs out of the room. Although she sobs and bangs on the door behind him, Harry is too frightened to let her out and holds the door shut. Harry may reenter Lisa’s room if the player wishes, only to find that she is gone. Among her things is her diary; in it, Lisa writes that she can’t stand being alone with “that patient” in the basement any more and is going to tell “the Doctor” that she wanted to quit. A cryptic videotape which Harry found earlier can now be played if he inserts it into a VCR. The tape recording shows a woman covering her face with her hands (but speaking in Lisa’s voice) pleading with an unseen figure and promising she “won’t tell a soul”. Lisa does not appear again until the end of the game. If the conditions for earning either the Good or Good+ endings are met, she appears after defeating the final boss; just as Kaufmann is about to escape, a bloodied Lisa rises through the floor and drags the horrified Kaufmann down into the pit she came from. But Mommy, I just want to be with you. Just two of us. Please understand. —Alessa as a young girl to her mother. Alessa Gillespie is a major character in the Silent Hill series. 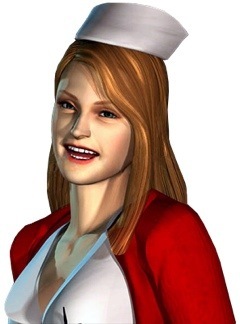 Her first appearance took place in the original 1999 Silent Hill video game. Alessa was a tragic, tortured and misunderstood soul who wanted empathy and love. The absence of Alessa’s father very well may be the cause of her involuntary attachment to certain individuals (i.e. Claudia Wolf, Lisa Garland, [as Heather] Douglas Cartland and Harry Mason). Alessa has also proven that once she’s given one her affection, she clings to them, never forgets them and treats them like family. In a strange sense, she cared about Cheryl/Heather more than herself, wanting to spare them the hellish nightmare she endured at her mother and the cult’s hands. And she certainly loves Harry Mason like a father due to the seven years of proper love and care he showered on her other half, Cheryl, and the fact that he, one way or the other, ended her torment and fulfilledrly her dearest wish of being accepted and loved. Alessa has a great deal of spite which is shown more in Silent Hill: Origins, though this likely stems from cruel and malicious treatment from peers, the cult and her mother. The Otherworld and the Fog World are representations of Alessa’s distorted perception of Silent Hill and her experiences there. Alessa is also known to be vindictive, scorned and dark-spirited. In addition, Alessa is undoubtedly wrathful and easily lost sight of her pleasant visions of Paradise and the desire to be loved. However, it has been shown that Alessa has astounding amounts of willpower, demonstrated by resolutely enduring seven long years of pain, fear and madness and refusing to let herself be used. Alessa is the daughter of Dahlia Gillespie, the priestess of a cult known as the Order that operates out of the resort town of Silent Hill. Any information regarding Alessa’s father is unknown. 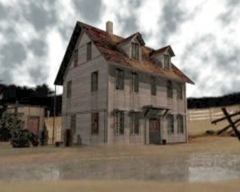 Dahlia and Alessa lived together in a house at Silent Hill’s business district. Alessa kept a butterfly and insect collection in her room, and had two dolls (one of which she named “Scarlett”). Alessa was born with vast mental powers, including telekinesis, premonition and astral projection, which could enable her to kill someone with her thought by projecting her desire for them to die into their body. Her powers eventually lead her to being ostracized at Midwich Elementary School, where she was branded a witch. At her elementary school, her friends abandoned her and scribbled on her desk statements such as “Go home”, “Drop dead”, and “Thief”. Alessa’s teacher, K. Gordon, noticed her bullying. There’s a girl named Alessa in my class. If your memory is any good, you may remember her she’s the one I said they called a witch. Most likely her mother is abusing her. I’ve never seen her come in without some sort of scrape or bruise. Her expression is pitifully dark for a 6 year old. Alessa’s only friend during childhood was Claudia Wolf, who empathized with her because she also came from an abusive family background. Their relationship together was strong, as Alessa thought of her as a “little sister”, despite not being related. On Claudia’s 6th birthday, Alessa gave her a card that stated “I love you as if you were my real sister. Here’s to you!” They did activities such as playing cards which often made Claudia cry as she had a hard time winning, as well as drawing. Alessa always drew monsters whenever she was alone and wished for a “nice daddy and mommy and a fun school, and a happy world where everyone smiled and laughed all day long,” which was in short everything Alessa and Claudia never had. Alessa dreamed of the arrival of Paradise, another world with no hatred, disease, starvation or old age. Alessa also believed that their world must be cleansed with fire before creating another one and shared these thoughts with Claudia with good intentions of eternal happiness and bliss. As a young girl, Alessa grew up with the teachings of the Order. Dahlia brought Alessa to the Order’s chapel frequently and Alessa often looked up at the stained glass which depicted God and the man and woman who birthed Her. Alessa came to worship God and to ask for her prayers to be answered, however, none were ever answered. In order to lure the missing portion of Alessa’s spirit back to its point of origin, Dahlia intentionally keeps her daughter in a state of excruciating pain for the seven years prior to the first game to compel Cheryl to return. Confined to Alchemilla Hospital’s basement and tended to by Lisa Garland, Alessa is given hallucinogenic drugs, further intensifying her torment. Upon Cheryl’s return, Alessa’s latent psychic abilities are triggered and she shrouds Silent Hill in fog and an altered reality to prevent her mother’s scheme from advancing. Many of the drastic changes that befall the town in the game, such as the horrific creatures that come to inhabit it, are conjured from her imagination and delusions. While searching for the missing Cheryl in Silent Hill, Harry is manipulated by Dahlia into believing that Alessa possesses the “Mark of Samael,” the mark of a demon. She instructs him to use a sacred item, the Flauros, to stop Alessa from completing Samael’s five crests and plunging the entire town into a hellish alternate dimension known as the “Otherworld”. Taking the bait, Harry neutralizes Alessa, only to learn that she was really trying to contain the Otherworld herself with the “Seal of Metatron” which is a talisman that recurs in Silent Hill 3. At the end of the game Dahlia finally captures Alessa, who recombined with Cheryl immediately after the car accident, and uses her to birth God. Depending on the player’s actions throughout the game, Alessa emerges either as a white-clad figure named Incubator or the demonic Incubus, the latter coming about by Dahlia’s former associate Dr. Kaufmann throwing a sample of Aglaophotis onto Alessa to prematurely expel the God. In either case the birthed deity kills Dahlia and fights Harry as the final boss. Following the defeat of the Incubus, a fading apparition of Alessa creates a small portal back to the real world to enable Harry’s escape after handing him a newborn child containing the fused soul of herself and Cheryl. Alessa then points towards a light as a path for Harry to escape. Harry looks at the reincarnation of Alessa and ponders what to do, and eventually decides to carry her with him as he escapes. Alessa, with her remaining power, stops the fire surrounding Harry before collapsing to the floor. From then on, Alessa’s soul lives on in the new baby whom Harry names Heather. With no memories of her previous life as Alessa, Heather lives a life without pain or suffering, the life Alessa had wanted. Silent Hill 3 is about Heather remembering who she was and what happened to her father in Silent Hill 17 years prior to the game. The time is nigh. Everyone will be released from pain and suffering. Our salvation is at hand. This is the day of reckoning. Dahlia Gillespie is a character in Silent Hill and its Play Novel, and the film of the same name. Dahlia also appears in a prequel, Silent Hill: Origins, and is re-imagined in Silent Hill: Shattered Memories. She is one of the series’ first antagonists and responsible for most of the terrible events that have occurred in Silent Hill. Although her given age is 46, her physical appearance looks much older than that. She wears a ceremonial dress and headdress with a red and black striped tie, and always seems to be barefoot. According to the European game manual, Dahlia is the proprietor of the Green Lion Antiques store in Silent Hill. It is also rumored that she has a side business of magic spells and fortune telling to her customers. Dahlia Gillespie is the leader of the Order, a cult that worships its own God. She is the mother of Alessa Gillespie, whose presence has summoned poltergeist activity since she was a child. These disturbances, along with Alessa’s latent telekinetic powers, saw her branded as a witch by her classmates. Dahlia knew her daughter’s powers were linked to the dark “God” which the Order worshipped. Hoping to “birth” her God through Alessa, Dahlia used occult rituals to impregnate her daughter. To expedite the summoning of God, Dahlia set their house on fire with Alessa trapped inside. Although the fire was ruled an accident, Alessa was left completely disfigured from the resultant burns. Through the use of a magical incantation invoked by her mother, Alessa lingered despite her injuries (which should have been fatal) and was placed in the care of Dr. Michael Kaufmann, a cult affiliate. While the constant torture of her wounds helped refine Alessa’s reality-bending powers, she resisted being used as a container for the ‘God’, and her soul split in two halves, using a form of bilocation in order to escape her torture. Her other form, a newborn, was discovered by Harry Mason and his wife, who named her Cheryl and raised her as their own. At some point over the course of her captivity, Alessa overhears a conversation about a ‘special visitor’ she is to receive, and becomes aware of her mother’s intent to still carry out her plan to use her to ‘birth’ the God. Alessa realizes that for however long she continues to live, this remains a possibility. Knowing that Cheryl holds the other half of her power, Alessa summons her telepathically back to Silent Hill so she can end her life and prevent the God’s birth. During this time, Kaufmann grows impatient after waiting for the return he has been promised (wealth, presumably) for his role in the conspiracy, leading to a falling out with Dahlia. Kaufmann stashes vials of Aglaophotis, a chemical capable of ‘aborting’ the demon in Alessa and ending Dahlia’s plans, in case she ever turned on him. Dahlia gives hints to Harry Mason throughout the game of where he might find his daughter. She also confides that the town is being devoured by darkness. During the game, seals are carved throughout the town, and Dahlia refers to them as “the Mark of Samael.” She tells Harry that if all of the seals are complete, all is lost. Dahlia emerges a second time in Alchemilla Hospital and impatiently tells Harry that he is wasting time. She appears a third time to both Harry and Cybil Bennett, on a boathouse, where she commands them to destroy the final two seals. She does not appear again until the finale, when Harry has become completely removed from reality. Dahlia waits with Alessa in a void at the edge of the Otherworld, known as “Nowhere”, a reflection of Alessa’s memories. As the player uncovers evidence, it gradually becomes evident that Dahlia is hiding her true motives and is actually responsible for demons overrunning the town. 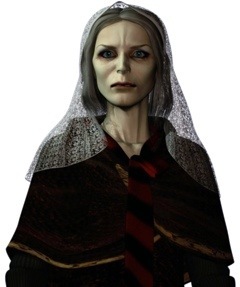 She is the leader of Silent Hill’s cult, which is devoted to engineering the birth of their “God”. Although Dahlia envisions a “Paradise”, the benevolence of the cult’s deity is in doubt. Adding to the urgency of Dahlia’s mission is the Mark of Samael, a mystical crest which Alessa is allegedly inscribing throughout town. The function and meaning of the symbol is unexplained, but Dahlia is most anxious to capture Alessa before she can create any more. She later confesses that the talisman Alessa is using does not belong to Samael, but to Metatron. Dahlia fully intends for Harry to survive, despite Alessa using her reality-bending powers to hinder his progress. In that sense, Harry is Dahlia’s pawn. Dahlia runs into Harry at the Alchemilla Hospital because she has come to ransack Kaufmann’s office and destroy his sample of Aglaophotis, but Kaufmann merely left it there as a decoy. If Harry saves Kaufmann from a demon attack (this is fully up to the player), Kaufmann immediately heads off to retrieve another vial. If Kaufmann is dead, Alessa morphs into her Incubator boss form and sets Dahlia on fire (as poetic justice). If Kaufmann lives, he appears unexpectedly and shoots Dahlia with a revolver. He then throws his vial of Aglaophotis at Alessa, which shatters and causes her to mutate into the Incubus, which resembles a winged Baphomet (a ‘premature’ birth, of sorts). Wounded but still living, Dahlia is then set aflame by the demon and dies. K. Gordon was a teacher for Midwich Elementary School in Silent Hill. While she does not appear in person, memos and items belonging to her occasionally appear through Silent Hill, which over time gradually allude to her profession and relationship with Alessa Gillespie. Harry Mason discovers a key labeled ‘K. Gordon’. This key opens up the K. Gordon House, granting him access to Bradbury Street where he is then able to make his way to the Balkan Church. K. Gordon’s name is also on a list of teachers at Midwich Elementary School. It should be noted that behind her house is a garage door stained with blood, possibly indicating that The Order silenced her due to her attempts to save Alessa from her cruel conditioning at the hands of the cult. However, this is just speculation, as there are numerous spots in Silent Hill where there are seemingly random places of carnage, even in the Fog World. Have you ever seen such aberrations? Ever even heard of such things? You and I both know, creatures like that don’t exist! —Kaufmann expressing his disbelief to Harry Mason after killing an Air Screamer. 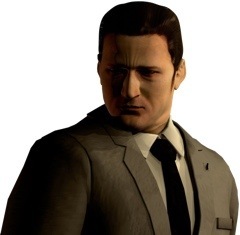 Dr. Michael Kaufmann is a character in Silent Hill. He is the director of Alchemilla Hospital located in Central Silent Hill. Dr. Kaufmann is the third character that the playable protagonist, Harry Mason, meets. While at first seeming like a mere civilian, he is in fact a close associate of Dahlia Gillespie and the Order. Kaufmann’s fate determines the game’s ending. He is also featured in Silent Hill: Origins, prequel to the original game, as well as in the first game’s re-imagining, Silent Hill: Shattered Memories. While he refers to himself as someone who “works” at the hospital, Dr. Michael Kaufmann is the director of the medical staff at Alchemilla Hospital. Kaufmann arranged Alessa Gillespie’s medical care after her immolation at the age of seven. Though the game is never fully clear on this matter, he may have also dealt in the hallucinogen PTV, derived from a local plant called White Claudia. The Order dispenses this drug to tourists as well as Lisa Garland, one of Kaufmann’s nurses. Lisa is forced to care for Alessa in the hospital basement against her will, under threat of drug withdrawal. During the intro sequence of Silent Hill, Lisa is shown arguing with Kaufmann in a hallway, shouting “Get your hands off me!” without audio. After Alessa split her soul as she was horribly burned during the Cult’s ritual to birth the God of the town, her mother, Dahlia, took Alessa to the hospital to be kept out of sight until the other half of her soul returned so she could give birth to the Cult’s God; Kaufmann is shown in a flashback at having been displeased with this task. Perhaps in mistrust, he keeps samples of Aglaophotis, a substance capable of aborting the “god” within Alessa, in his office and in the gas tank of a motorcycle parked in the resort area. When Harry Mason first finds Kaufmann, he is in a state of disbelief, sitting in an examination room with a gun in his hands. He stares down at an Air Screamer he has just shot, which lies in a puddle of blood at his feet. As Harry tries to confront him, Kaufmann fires a warning shot, returning to a state of ‘normality’ when Harry is able to persuade him not to shoot. Seeing his vial of Aglaophotis has been shattered by Dahlia, he immediately sets out for the other sample. Depending on the player’s actions, Kaufmann is either overwhelmed by a Mumbler inside Annie’s Bar, or rescued by Harry. If saved, Kaufmann is thankful, but his business presses him onward. If Harry finds the motorcycle stash first, Kaufmann reappears and angrily snatches it away. At the conclusion of the game, Kaufmann appears unexpectedly as Harry confronts Dahlia and Alessa in Nowhere and shoots Dahlia. Kaufmann demands she make everything normal again, and promises that she will regret using him. Wounded but still gloating, Dahlia tells Kaufmann that his usefulness is over. Kaufmann responds by retrieving a bottle of Aglaophotis from his pocket, catching Dahlia off-guard; she hadn’t counted on him keeping another sample. Against Dahlia’s protests, Kaufmann throws the Aglaophotis at Alessa, which shatters and causes her to expel the Incubus (apparently not an effect Kaufmann had intended). After the demon incinerates Dahlia, Kaufmann is knocked unconscious and Harry battles the demon in a final boss fight. Following the final boss, Kaufmann reawakens and sees Alessa creating a glowing portal for Harry to escape through. Kaufmann makes a motion to follow after him, but is dragged back at the last moment by a bloodied Lisa Garland who crawls up through the floor grating. Lisa latches her arms onto the screaming Kaufmann, and the two of them fall backward into an unseen pit. Hey Daddy, do you think there’ll be ponies there? I wanna ride a pony around, just like a cowboy! Cheryl Mason is the adopted daughter of Harry Mason in Silent Hill. She disappears after Harry crashes his car upon arriving in the town, and finding her becomes his primary objective throughout the game. Seven years prior to the first game, Alessa Gillespie split her soul during a ritual performed by her mother, Dahlia Gillespie. The soul manifested itself into a baby, and a couple, Harry Mason and his wife, found it at the side of the road. They adopted her and named her Cheryl. Cheryl’s adoptive mother became fatally ill and passed away when she was three. Cheryl, most likely too young to realize what had happened, wasn’t too affected by the loss, and carried on with her life as a normal child. Harry, however, took the loss harder and latched onto Cheryl, who became his biggest reason for living. When Cheryl was seven, she suggested to Harry (who was still grieving over the loss of his wife) that they take a vacation in the town of Silent Hill. She persuaded him that it would be a good idea, and Harry agreed. Cheryl’s favorite past time is coloring, and she spends most of her time on the way to Silent Hill coloring in a book that Harry gave to her on her fifth birthday. Drawing acts as a refuge for Cheryl – a world of her own that protects her from the outside. Cheryl wears a pinkish colored jumper under a blue and white chequered dress. She wears white socks that go up to just below the knees which are dirty at the bottom. She wears no shoes. On her dress around the chest area are two stitched cats, one yellow and one white. This could represent Cheryl and Alessa, separate but the same. On the way to Silent Hill via car, Harry sees Alessa on the outskirts of the town and swerves to avoid her. Their car crashes and Harry is knocked unconscious. When he awakens, he discovers Cheryl has gone missing. In Midwich Elementary School, Harry hears Cheryl’s voice on a telephone pleading for help, after which, the caller suddenly hangs up. Cheryl is also apparently seen by Cybil Bennett when she was searching Bachman Street, though whether the girl she saw was Cheryl or not is unknown. When Harry visits the Silent Hill Town Center, he sees Cheryl’s image on a television screen. If the Bad+ or Bad ending is obtained, Cheryl’s voice will thank Harry for everything and say a final goodbye. If the Good or Good+ ending is achieved, Cheryl’s voice will only say ‘Daddy’ before Alessa opens a way for Harry to leave. Alessa gives Harry a baby, which is both Cheryl/Alessa reincarnated. At first I thought I was losing my mind. But now I know I’m not. It’s not me. This whole town. It’s being invaded by the Otherworld. —Harry talking to Cybil while trying to get a grip on his situation. Harrold “Harry” Mason is the protagonist of the first Silent Hill game and the adoptive father of Cheryl, and later, Heather. He was voiced by “Michael G” in the first game (not to be confused with Michael Gough). As stated, Harry Mason is a writer, though he is a loving and devoted father first. He is clumsy and awkward, but what he lacks in physical training he makes up for in his devotion to his daughter, Cheryl, and the courage he needs to find her when she goes missing in the town of Silent Hill. Having lost his wife, Jodie, early in their marriage, his daughter is the most important thing he has in life, and he devotes his life to her well-being. Harry is described by his own daughter, whom he later renames Heather, as being a “worrywart”. In fact, so concerned is Harry for Heather’s safety that at one point in time he provides her with a stun gun for self-protection, though the real reasons as to why he is so worried become apparent later in Heather’s life. Harry also gave Heather a necklace containing Aglaophotis on her birthday as a sign of love, though this too was later revealed to be another act of protection against a cult known as the Order. He is also very perceptive and a quick thinker. This is shown throughout Silent Hill when he solves puzzles and picks up other character’s personalities quickly. Harry Mason is a run-of-the-mill writer; he doesn’t have very many relationships with others because of this. At the age of 25, Harry and Jodie found a baby on the side of a road. The couple took the child home and named her Cheryl. However, 3 years later, at the age of 28, Harry’s wife acquired a fatal disease and suddenly died. For the next 4 years, Harry raised Cheryl alone. At 32, he was still in deep grief over his wife’s death. Cheryl, who was now 7, convinced Harry to take a peaceful vacation to relax in the resort town of Silent Hill. Harry Mason and his young daughter Cheryl decide to take a vacation in Silent Hill. While Harry is driving towards the town late at night with Cheryl in the front seat, he sees a young woman, who is later revealed to be Alessa Gillespie, walk into the path of his vehicle. He tries to avoid her but loses control of his red Jeep and falls off the side of the hillside trail. He later awakens to find Cheryl has gone missing. In Silent Hill, he meets many people. He forms a bond with Cybil Bennett, a police officer and they attempt to find his daughter, however, Cybil doesn’t seem to understand Harry when he talks about phenomenal things, such as his dreams of the Otherworld and reality. Dahlia Gillespie, a priestess of a cult named “the Order”, often gives clues to help Harry, yet also confuses him in doing so. He meets a doctor named Michael Kaufmann and a young nurse, Lisa Garland, who grows attached to Harry after he meets her. They have conversations about Silent Hill’s past and Harry offers to take her with him, but she declines, stating that she doesn’t feel she should leave the hospital. In the final moments of the game, Lisa transforms into a puppet nurse and Harry shoves her against a wall in fear. He locks her in a room alone as she cries, though he feels sympathy for her. After the first game, Harry lived an ordinary life in Portland with his new adopted daughter. The religious organization of Silent Hill, the Order, had planned to abduct the reincarnated Cheryl/Alessa and proceeded to track her down. Five years after the events of the first game, Harry killed a cult member who attempted to kidnap the reincarnated Cheryl/Alessa with a gun in self-defense, before relocating to an unnamed town to hide incognito. To ensure his adopted daughter’s safety, he dyed her hair from black to blonde and named her Heather. Afterwards, he eventually settled in the Daisy Villa Apartments with her. Despite feeling confused and frustrated at who Heather could be, Harry was determined to raise her. I confess I had reservations at first about raising that baby. Could I love her? Her existence was thoroughly unexplainable. I thought, “She could be that young woman who snatched away my beloved daughter.” That led to sadness, anger… there were times when I put my hands around her tiny little throat. Even now, I can’t forget about that girl. But I love you. I have no doubts about that. That’s all I ask you to believe. I don’t believe it… Harry, it’s a baby… Cheryl. We’ll call her Cheryl. Jodie Mason is the late wife of Harry Mason and the adoptive mother of Cheryl Mason. According to the novelization of the first game, Harry met Jodie at the beginning of his sophomore year of high school, and took the opportunity to ask her out after she had broken up with her previous boyfriend. Jodie became Harry’s priority as they fell in love, and they were wed at a church soon afterward. Their nine years together after this is described as a never-ending honeymoon. When her husband was twenty-five, they found an abandoned baby on the side of the highway, and with Harry’s agreement, adopted the baby; to which Jodie gave the name of Cheryl. It is revealed at a point in Silent Hill that Harry and his wife desired to have a child during their marriage, but were unable to conceive one due to her illness. Silent Hill suggests she died from her said illness and the game’s manual states Harry had lost his wife due to her disease. The novel seems to contradict by stating that while she was driving home from work, a car chase occurred in which a criminal crashed into her while in full speed, killing her. The guides are known for being inaccurate, and the novel, which is official, presents a different story, thus it is possible to be the latter. In either case, her death left Harry in deep grief while Cheryl was too young to understand what had happened. In the intro FMV of the game, she is seen finding Cheryl with Harry by her side. From her appearance in the introductory sequence, she has dark brown hair and dark eyes. She wears a long dress covered with pink floral patterns (possibly cherry-blossoms), and a shawl around her neck. She is mentioned a few times throughout the game, firstly when Michael Kaufmann asks if she is with Harry, and Harry states that she died four years ago. If the Good+ ending is achieved, she is replaced with Cybil Bennett in the intro. She and Harry are seen looking over Heather, the reincarnation of Cheryl and Alessa Gillespie, as a baby.